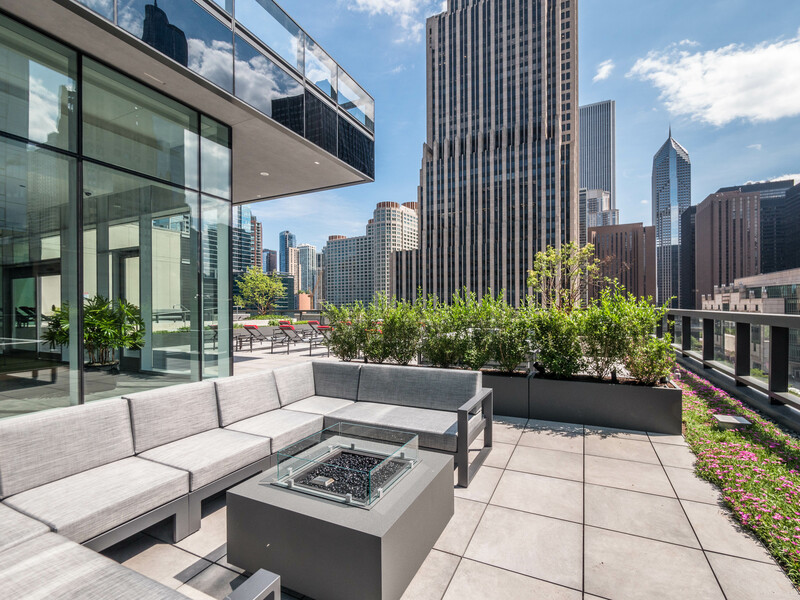 Streeterville’s new Optima Signature is a new, ultra-luxury apartment tower just off Michigan Avenue’s Magnificent Mile. 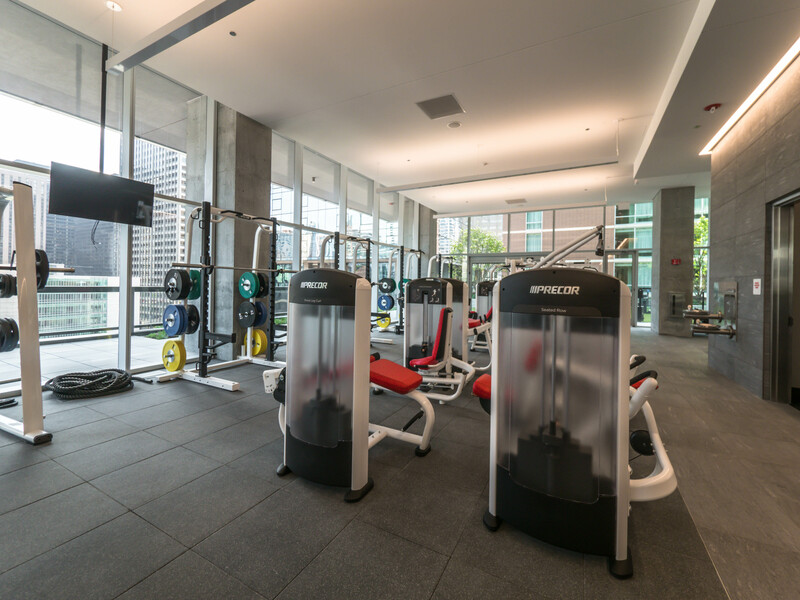 During your visit you’ll check off every item on your wish list – and see an unprecedented level of amenities. 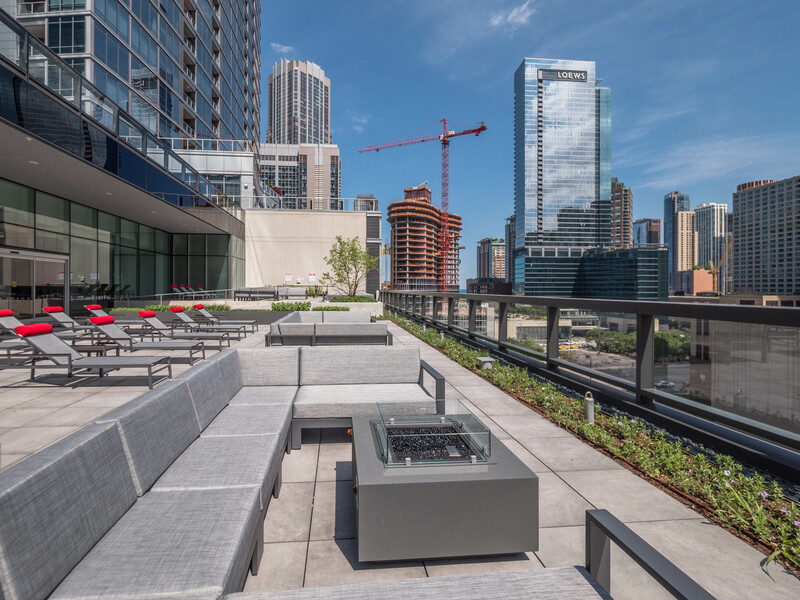 Start your tour of Optima Signature with the above videos of 2- and 3-bedroom, 2-bath apartments at the Apex level, the top 15 floors. 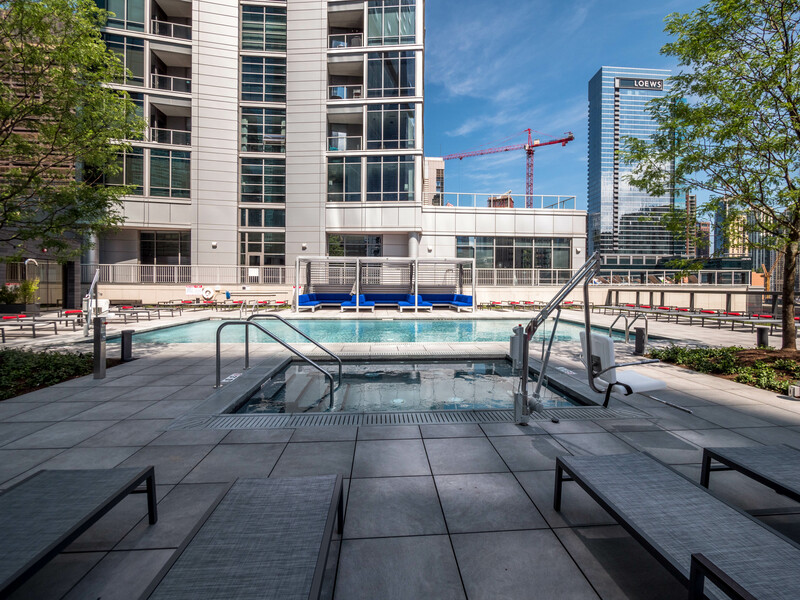 Optima Signature apartments have floor-to-ceiling windows, wide plank flooring, stainless steel appliances, quartz or granite counters and in-unit washer / dryers. 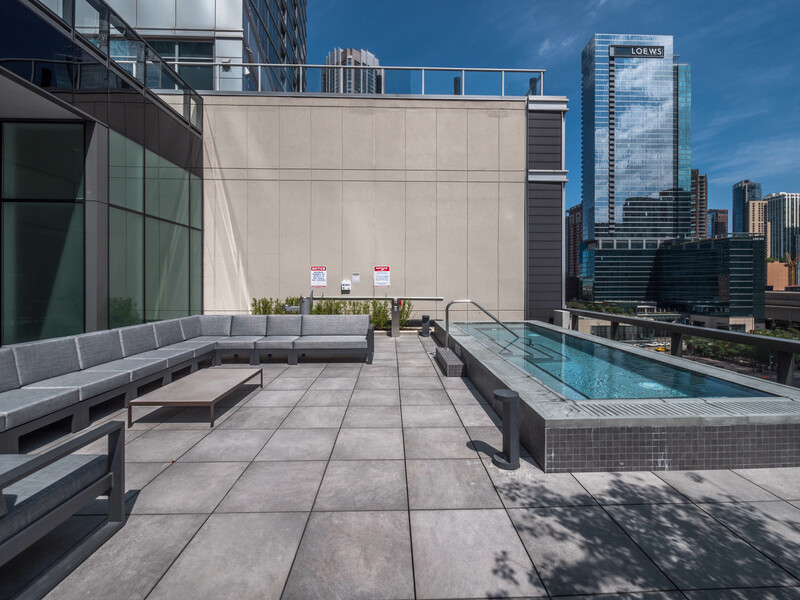 The Apex apartments, have upgraded finishes and 9- or 10-foot ceilings. 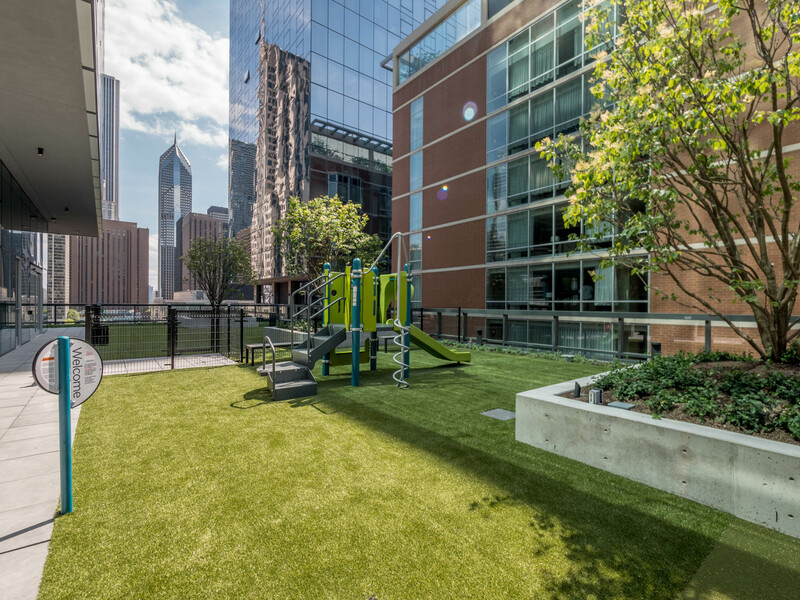 Convertibles start at $2,255 a month, 1-bedrooms at $2,490, and 2-bedroom, 2-baths at $4,090. 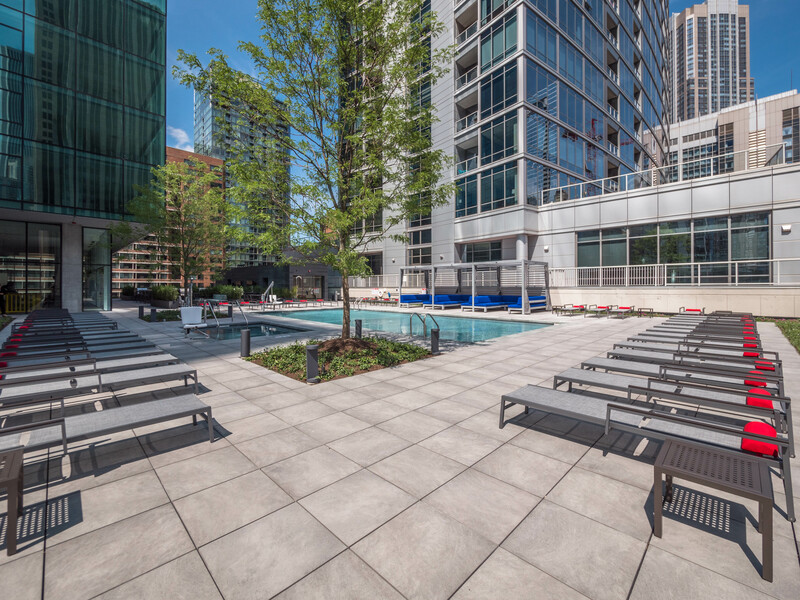 An Apex-level 3-bedroom, 2-bath is available for $5,680 a month. 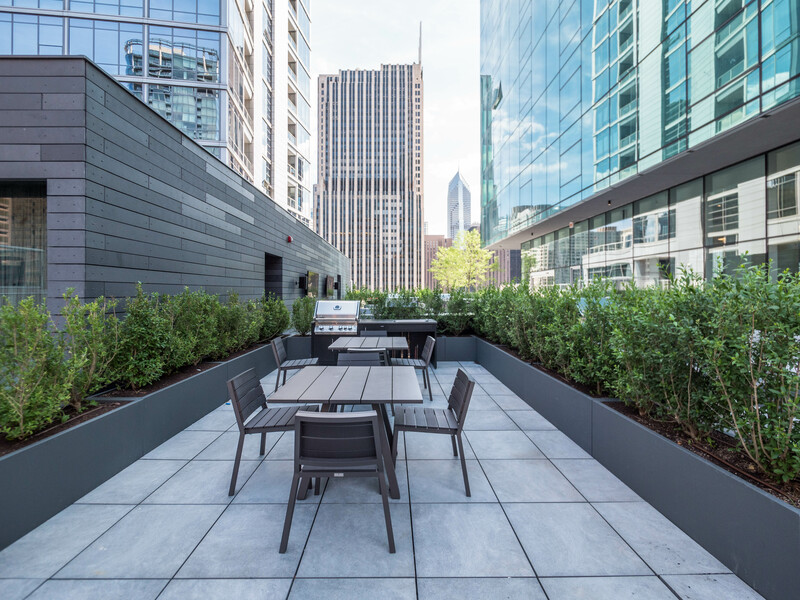 A month’s free rent is available on select apartments, and a look-and-lease special applies if you lease on the day of your first visit. 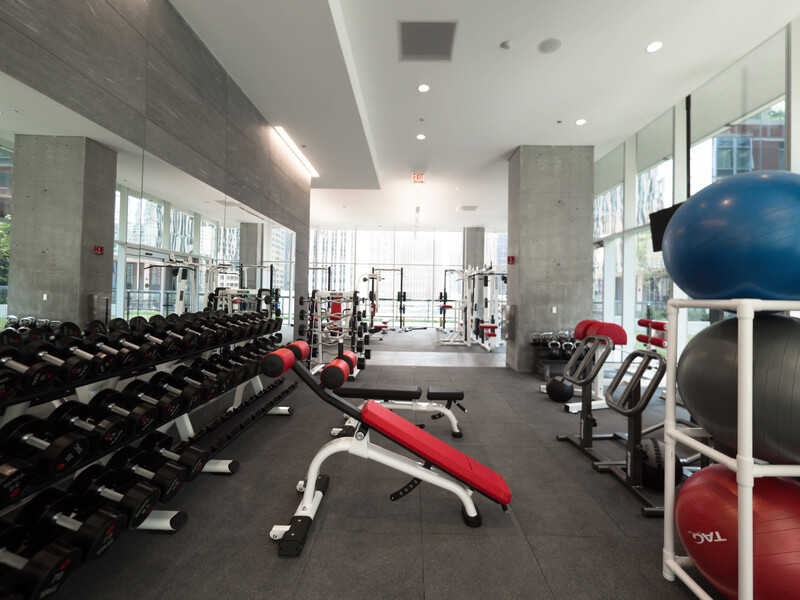 You’ll need to visit the sprawling multi-level amenities at Optima Signature to understand their scale and how they enhance the experience of living there. 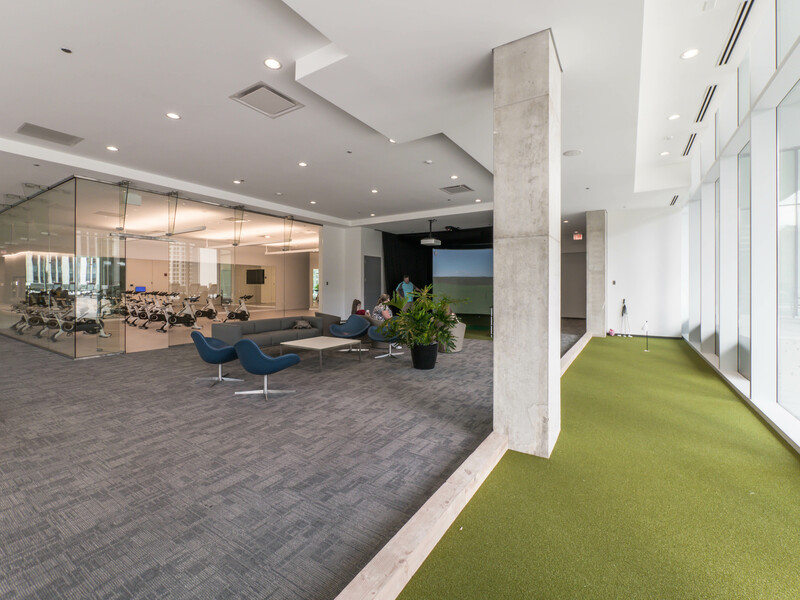 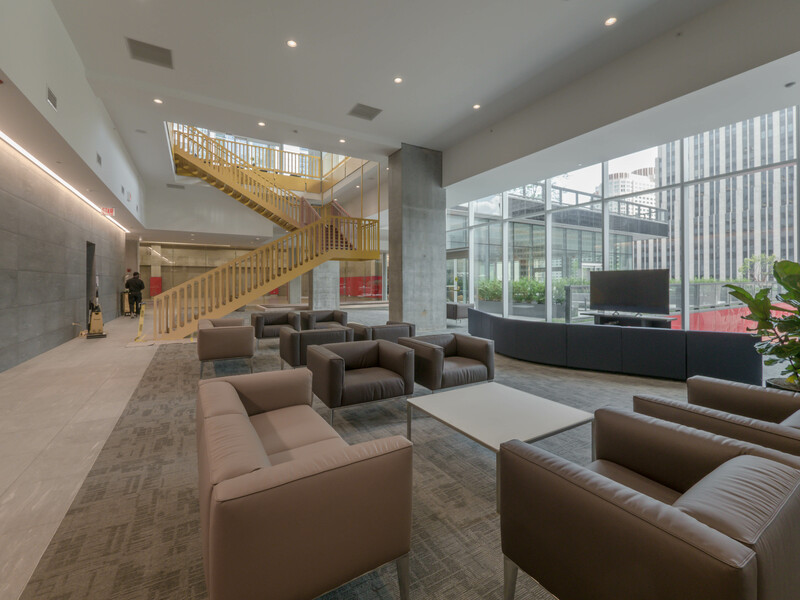 The wide variety of amenity spaces can accommodate a crowd or an intimate gathering of friends. 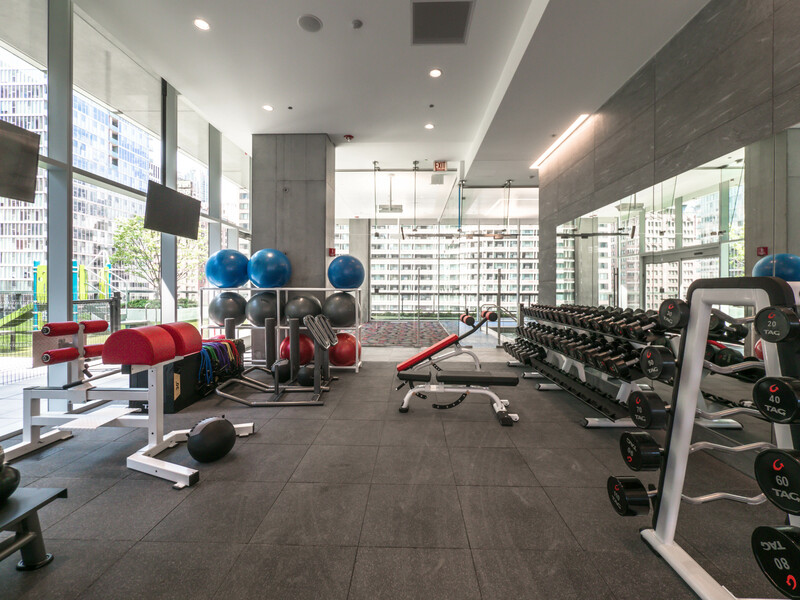 Budget a greater than usual amount of time for your tour at Optima Signature, because the amenities are far more extensive than what you’ll see at other new apartment towers. 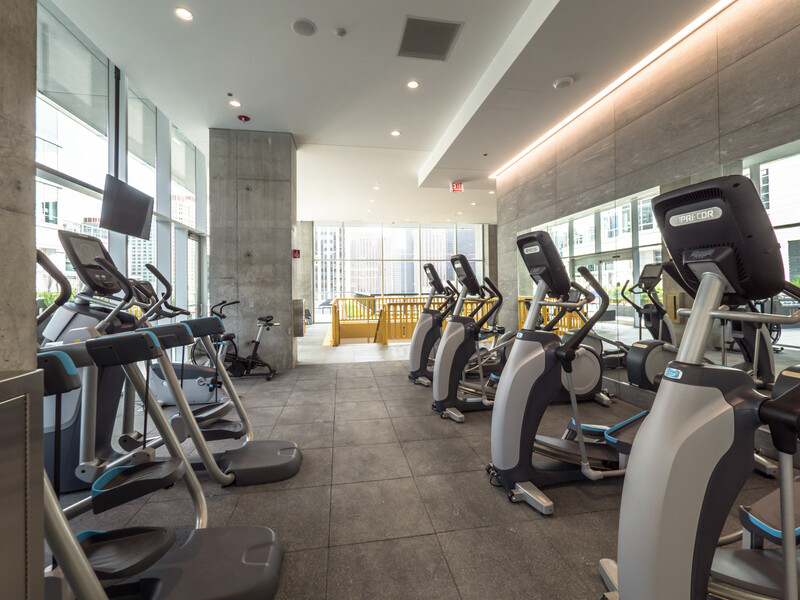 Start with a walk through one of the resident lounges toward the basketball and bocce courts, the golf simulator and putting green, the yoga studio and indoor pool and whirlpool. 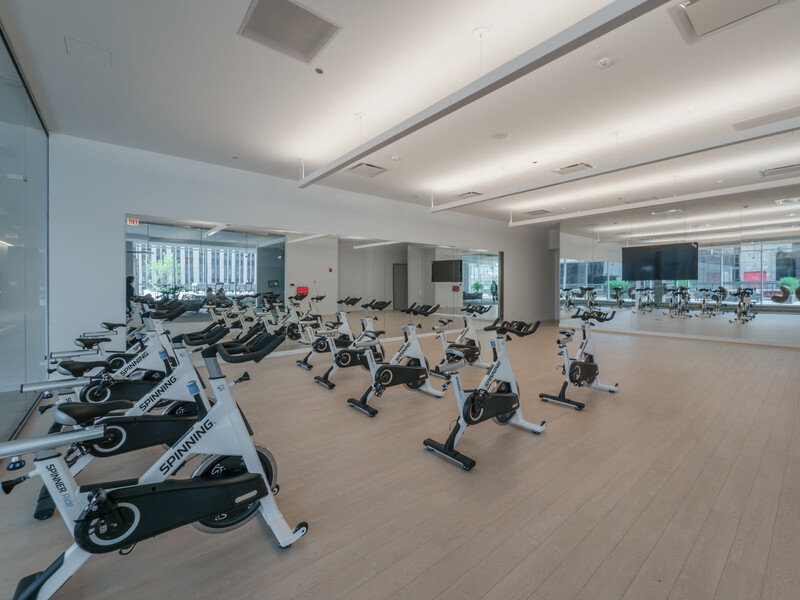 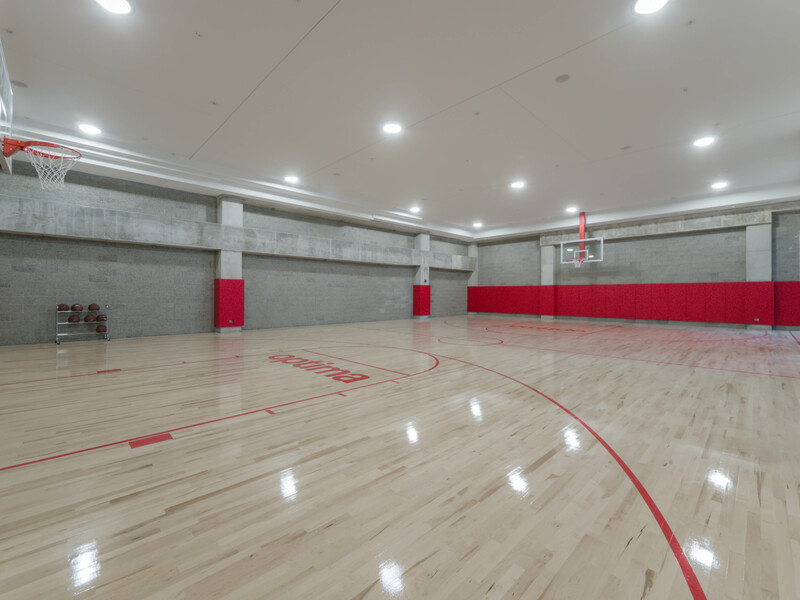 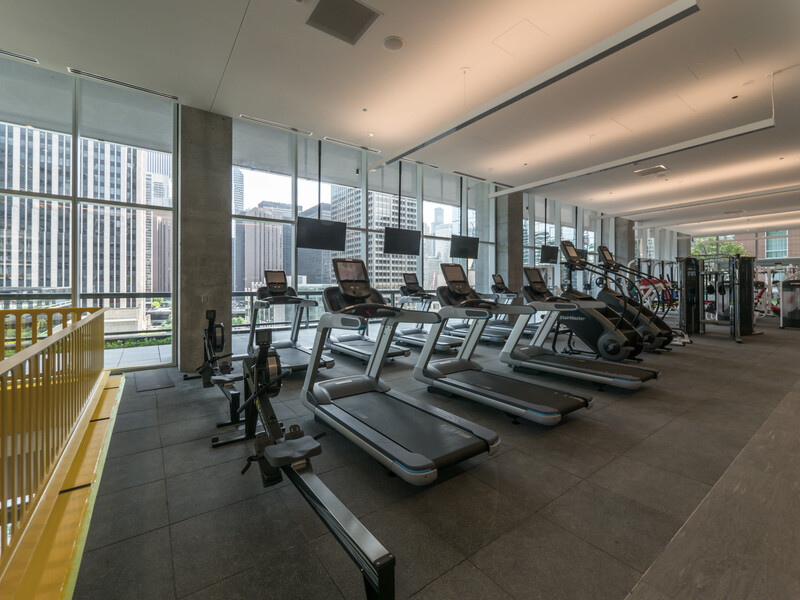 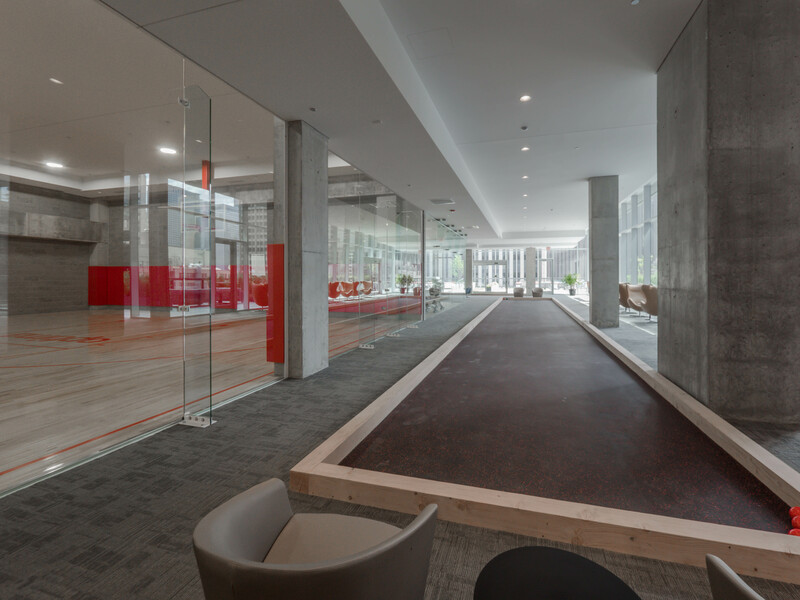 If you’re a fitness buff or wannabe you’ll find the workout venue of your dreams at Optima Signature. 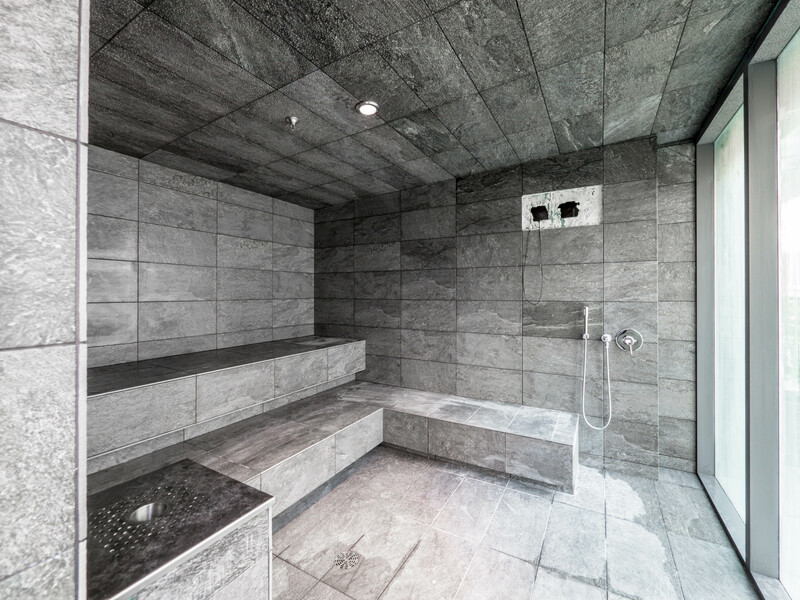 The lavish men’s and women’s locker rooms have showers, steam and sauna, and towel service. 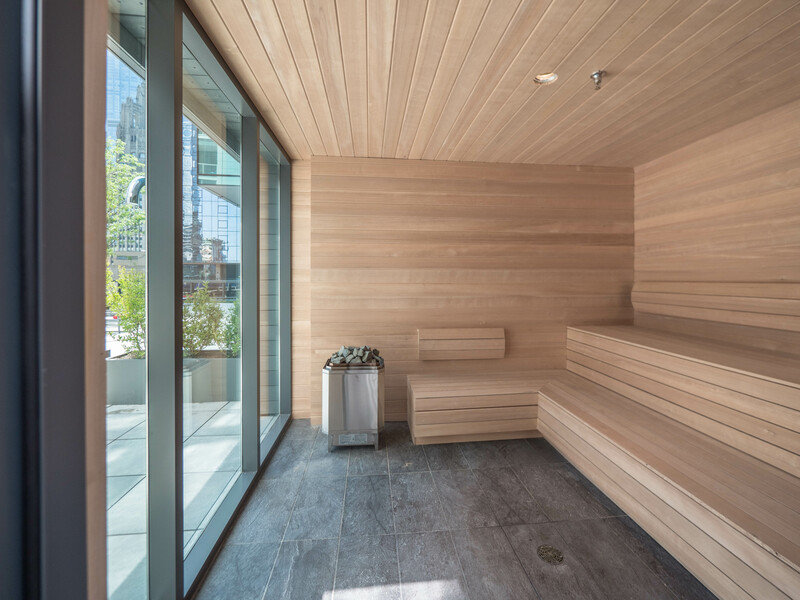 When you head outside, you’ll find larger steam and sauna rooms adjacent to private and public grilling areas. 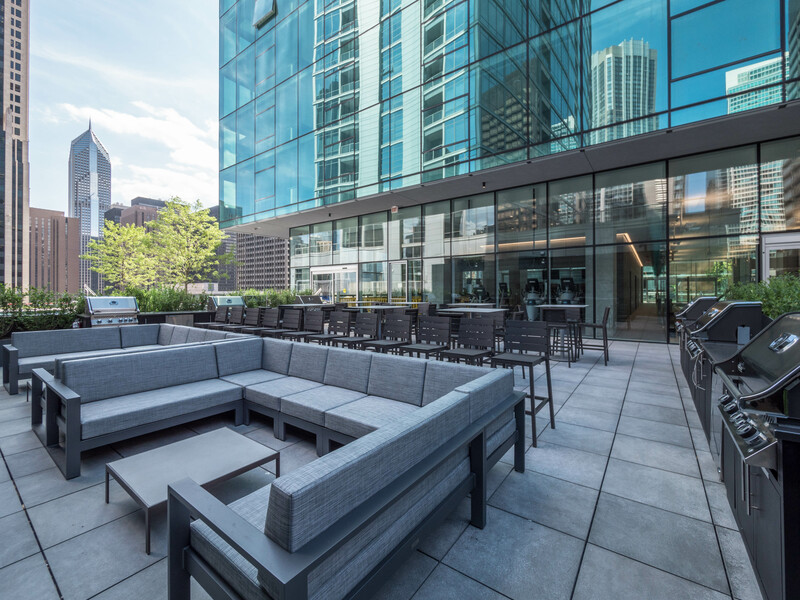 The sprawling outdoor terraces on the 7th and 8th floors have lush landscaping, hot tubs, an outdoor pool with private cabanas, a variety of seating and sunning options, a playground, and open vistas to the south. 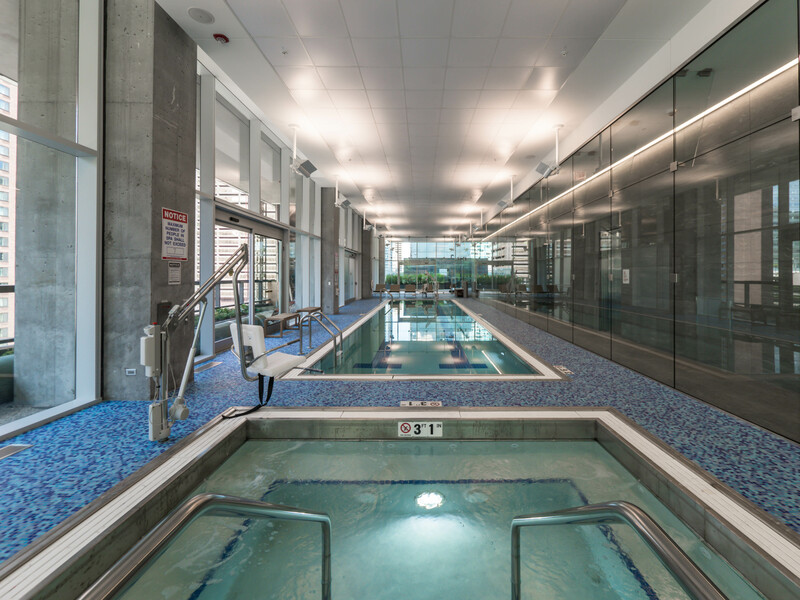 There’s much more to see at Optima Signature. 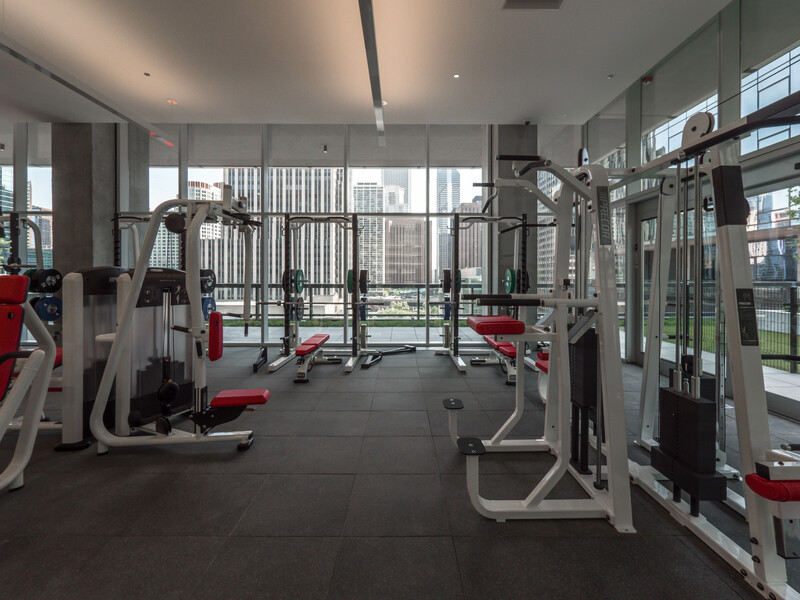 The leasing center for the pet-friendly Optima Signature is open daily on-site at 220 E Illinois St.